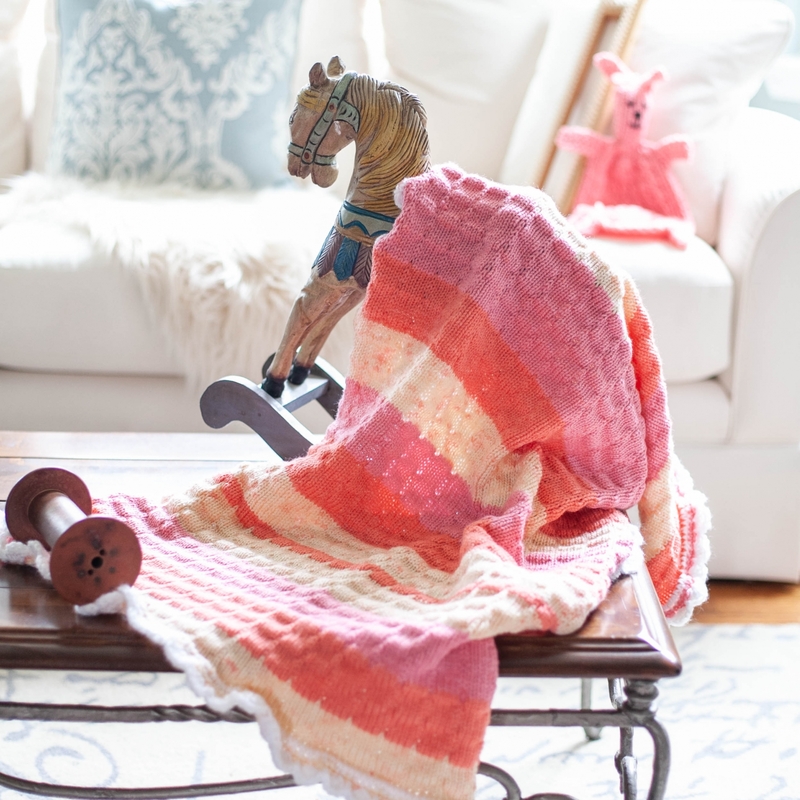 Parfait Stroller Blanket, cheerful and full of texture, this blanket is the perfect size for baby’s stroller or car seat. 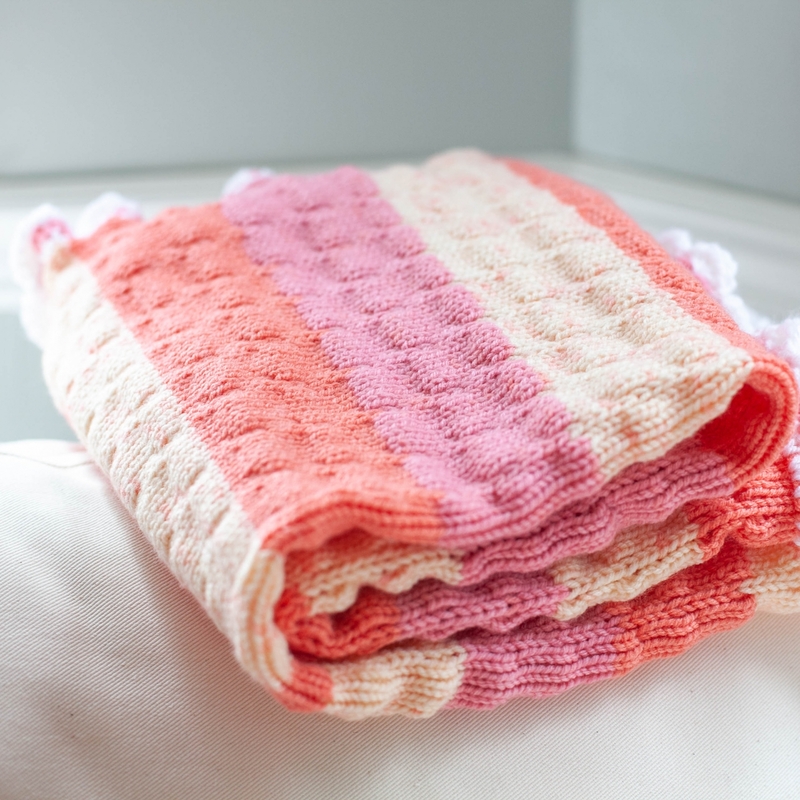 It has an easy to memorize tuck stitch pattern and pretty scallop border. 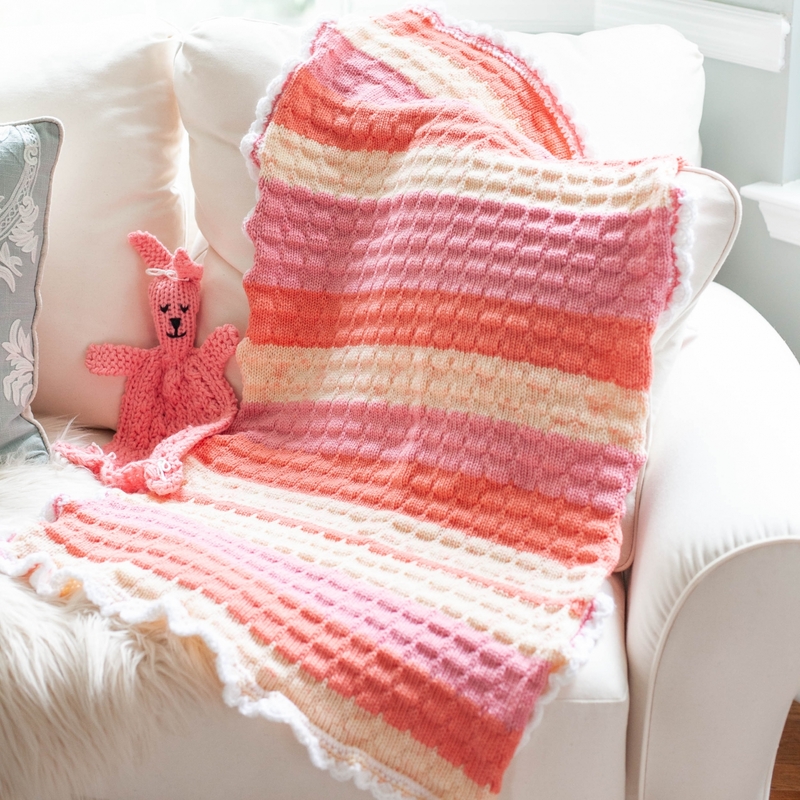 Any mom or dad-to-be would love to have this for their new baby! 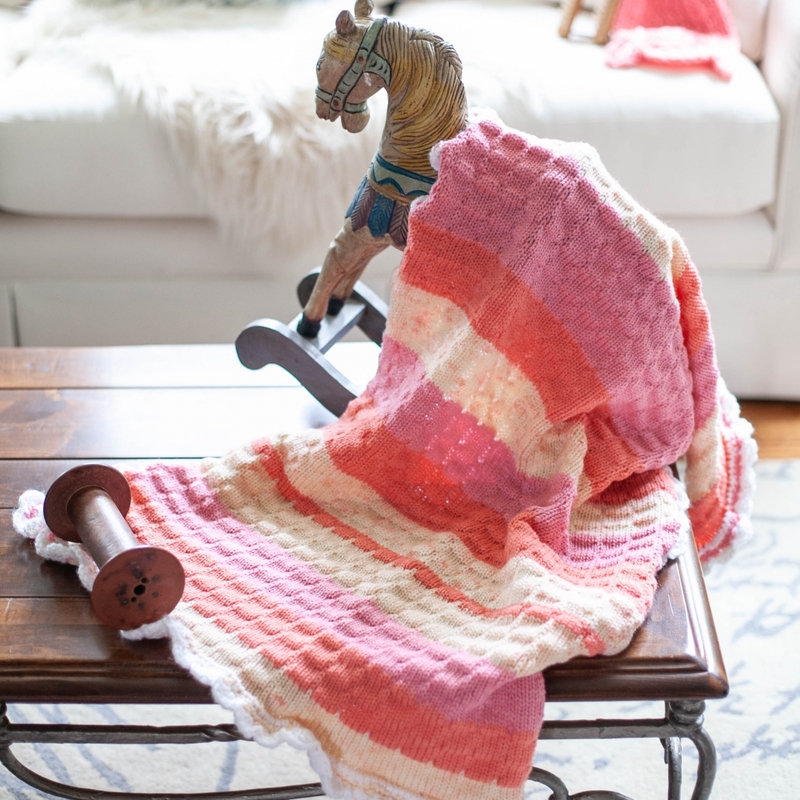 This can be knit for a boy or a girl by selecting appropriate yarn colors. Level: Confident Beginner. 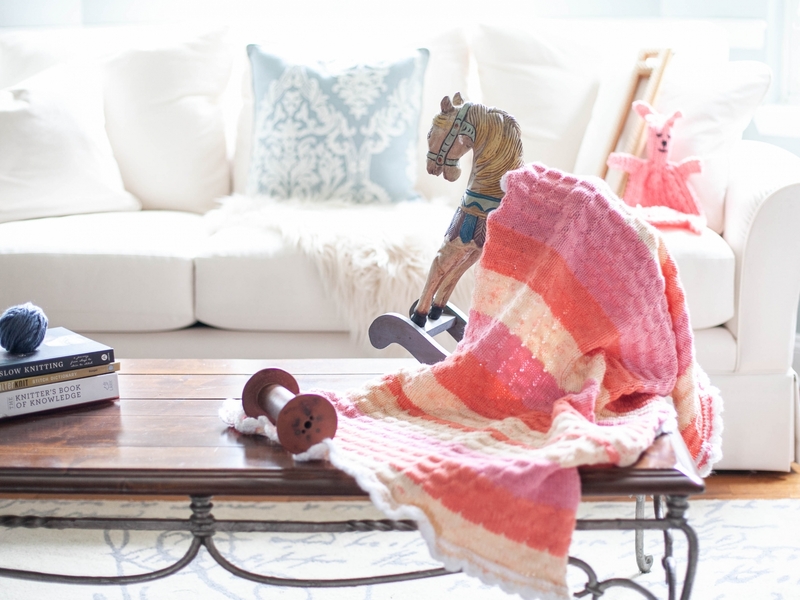 Main pattern is written for the loom knit portion of the blanket, which is the main blanket (not including the edging). 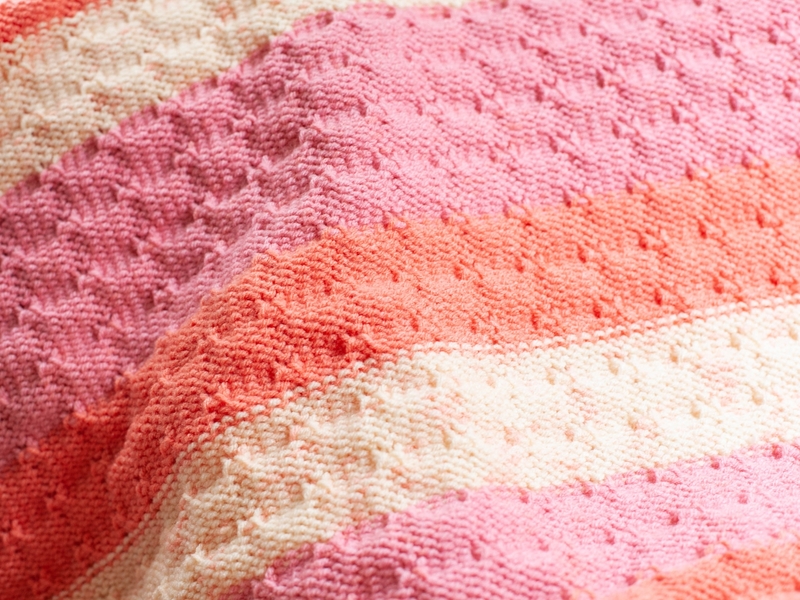 NOTE: This pattern requires a crochet border. 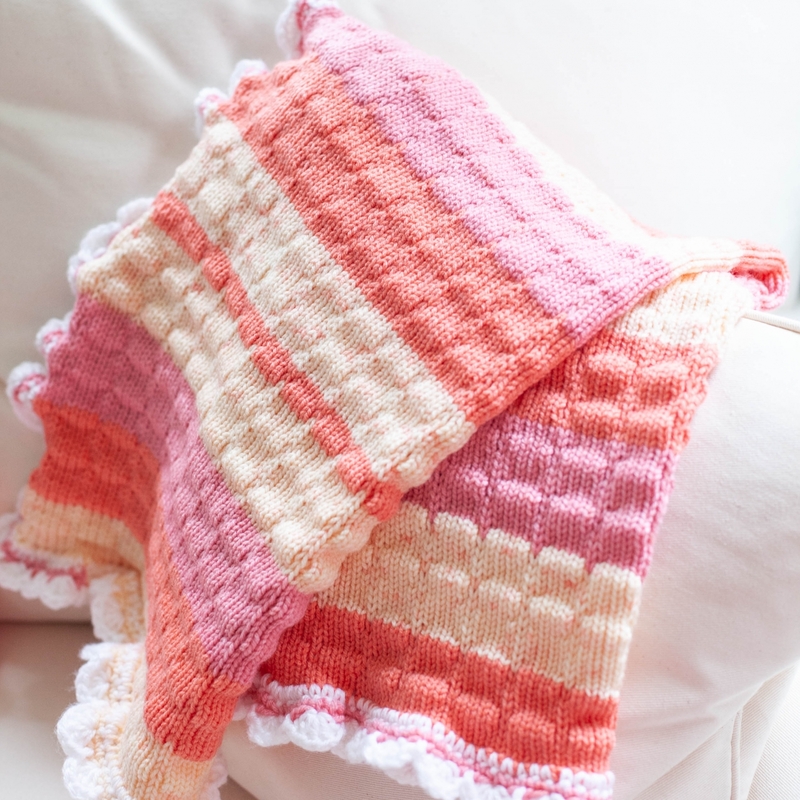 Please google videos for the single crochet border and scallop border before ordering this pattern as directions are not given for how to do these borders. The borders are easy but not taught within the pattern. 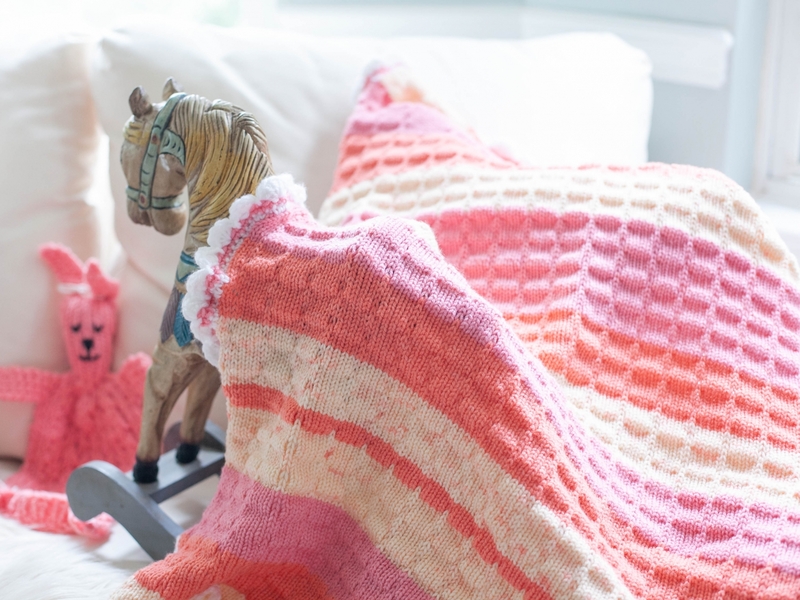 I have included direct video links within the patterns for how to do the crochet borders. Alternatively, you can add any border that you would like. Loom Needed: 3/8” peg spacing, 105 pegs. 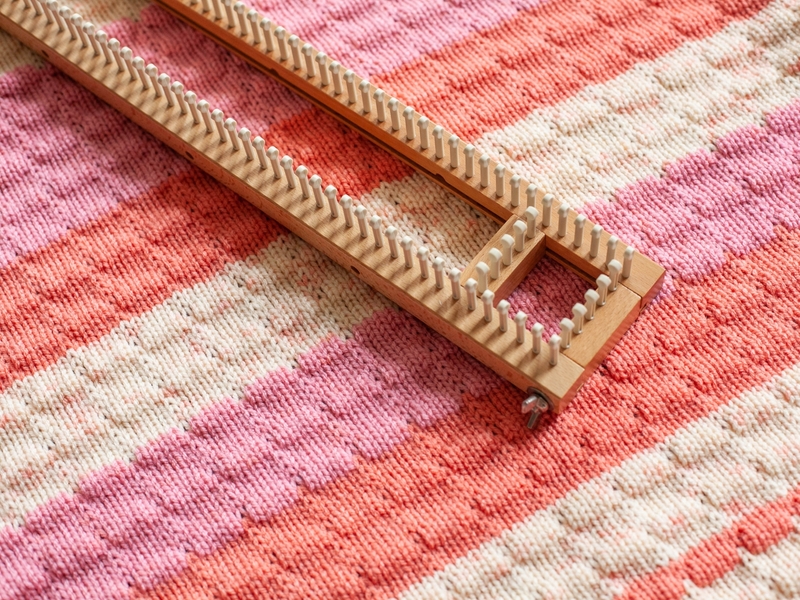 (Knitting Board, All-In-One adjustable loom used in sample). Finished Size: 27”/68.6 cm x 40”/101.6 cm. Final measurements include crochet edging.